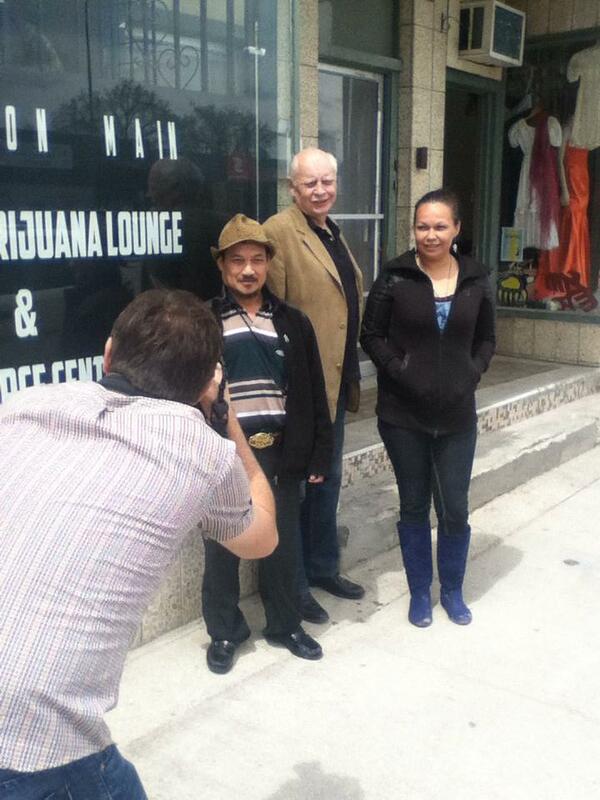 “It is a plant for the people, medicine and food, why not legal ” says John Tran, as he, Leah Kent, and her husband Eddy, try to convince me to work with them on a Medical Marijuana Lounge in Winnipeg. Most importantly they had located a rental premise in Winnipeg that was green friendly and on a major thoroughfare into the city from the north side suburbs. They are medical marijuana licensees still under the MMAR as I am, thanks to lawyer John Conroy and activists across this country. They want to help and educate others as well as have a lounge in which to socialize. They support Legalization, Control and Regulation of cannabis for “all the people” as John says, with patients allowed to grow their own. Of course, I decided to work with them. They were speaking my language. They have wonderful families that I met. They were truly interested in ending prohibition, and not profiting from the cause. Leah and Eddy are a First Nations couple, and fight for the rights of all indigenous people in Canada and around the world. They cite the United Nations Declaration on the Rights of Indigenous Peoples, signed by Canada on November 12, 2010, which guarantees indigenous peoples inherent sovereignty and the right to pursue economic interests without interference. As well it guarantees them ” the right to their traditional medicines and to maintain their health practices, including the conservation of their vital medicinal plants, animals and minerals”. First Nations people have been brutalized, since the arrival of European Christians on the North and South American continents, and it continues in our lifetime in many ways. Poverty, and a sense of hopelessness, places the young First Nations people as the low hanging fruit in this War in Drugs in Winnipeg, as many try to simply survive in this world. When police harass a young aboriginal man who was charged with two grams of marijuana because he was a suspected gang member, it suppresses nothing except for the respect of the police. I told the young man when he stopped in at VAPES on MAIN he should plead not guilty, make all his court appearances, and wait for it all to play out. He shook my hand and thanked me. What I find particularly frustrating is that I see many people from all walks of life using marijuana. It is the middle class and affluent in our society, mostly white, who are rarely subjected to random fishing expedition searches by the police. It was great to have an aboriginal couple speaking out against the War on Drugs and about the harms of Prohibition to their communities across the country. Cannabis can be an economic and health care positive for such communities and they would like control over their future for their children says Eddy. 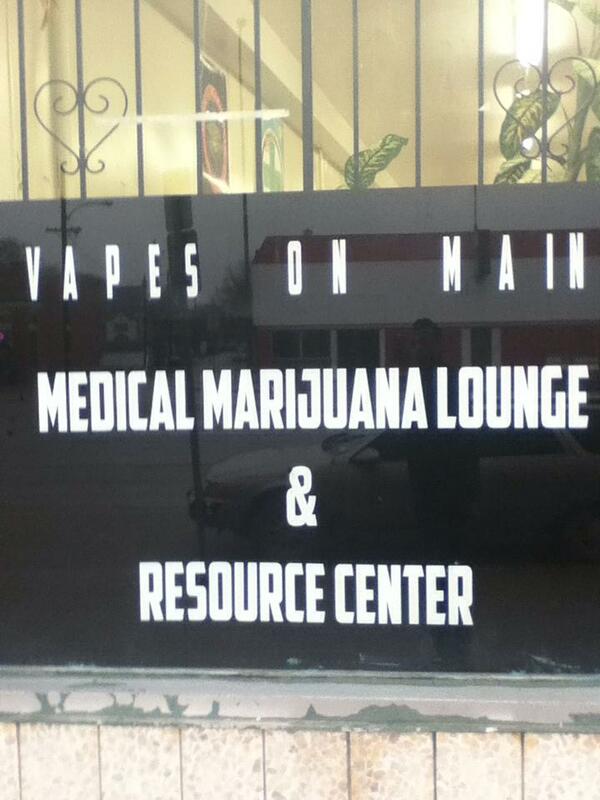 You see, VAPES on MAIN MEDICAL MARIJUANA LOUNGE INC., is a private club but open to anyone who has questions about medical marijuana or the ever changing law. Medical marijuana patients are allowed entry to smoke or vaporize their medicine. A five dollar day pass donation is appreciated. We do not ask to see “prescriptions”, licenses, dispensary cards, but restrict entry to 18 years unless accompanied by a parent. Alcohol, drugs, and cigarette smoking is not allowed. Each medical marijuana user is responsible for their own medicine, none will be provided. We do not sell pot like dispensaries. Each person is responsible for their own personal compliance with any law should they be confronted by the authorities. People seeking medical marijuana are advised to return to their doctor and can be provided with signing documents to take to their doctor for some of the new producers. Some vaporizors are available for patients to try before they invest their money at head shops. Most conveniently we have ALECO’S DELI right next door with the largest finest sandwiches, I think, in the city. He is a friend. The club was actually open for a couple of weeks before the week of May 25th, but our new sign in the front window and social media notifications created a media frenzy that week. The media tried to pin the City of Winnipeg down who clearly admitted there was no policy or bylaws covering the situation. The police were asked but made no formal comment, other than to say it is a grey area of the law. It took them two days to come to that conclusion. It is a horrible situation to put law enforcement into, where people are told to choose between their personal health, that of their loved ones, or be accused of a crime. The media was all very positive and there have been a few shout outs to Vapes from local radio stations. However, we wait to see what the hypocrites from city hall will do. I really do not expect any police problems. But I do know what they are thinking. If they waste any time watching they will often see a handicap scooter, parked out on the sidewalk. We are working on wheelchair access. We have had an amazing response with many people coming in seeking a doctor who will prescribe marijuana. We will continue our efforts to find such a doctor in the city at no cost to the patient. We received information from a patient who was aware that Cancer Care Manitoba had assisted a patient in finding a doctor to sign. We suggested that to a woman who came in enquiring, she was obviously a cancer patient and had just left Cancer Care Manitoba. She was using cannabis regardless for the past six months and found it helped her but was difficult for her to acquire on a regular basis She was now intent on going back and putting the pressure on them to get her a doctor. Her own doctor won’t sign she said. I smiled and told her don’t get busted, she laughed, there is nothing they can do to hurt me any more than they are hurting me now. My sentiments exactly. 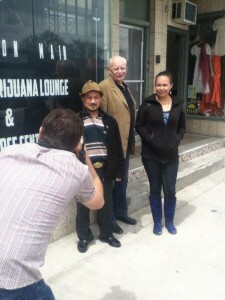 Bill VanderGraaf is a 63 year retired Winnipeg Police officer having served for 29 years and retiring as the Staff Sergeant in charge of Homicide, Major Crime and the Street Gang Unit in 2001. In 2007 He was arrested for growing medical marijuana (20 plants) for his daughter suffering from Takayasu’s Arteritis, his father suffering from ALS, and for his own medical issues. He received a conditional discharge and became a member of Law Enforcement Against Prohibition. He is one of three directors at Vapes on Main.